The food what I miss the most since I left Germany in 2014 is our bread. And especially sourdough bread. Therefore I checked out how to make it and actually very easy and very healthy and tasty as well. And in the long run you can save money if you consider what an organic sourdough bread abroad will cost you in comparison to make it on your own. 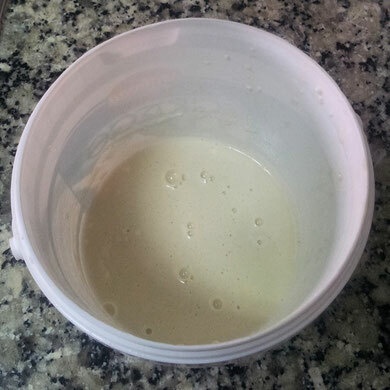 For sourdough you just need flour, water and 4 days of patients and some ingredients you would like to add. In this article you will find a step by step guide and recipe to make a tasty and healthy sourdough bread. 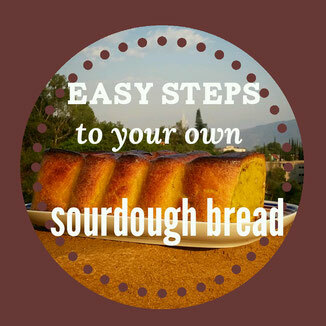 Inspiration for the step by step guide I found on the German website http://www.brote-selber-backen.de/sauerteig.htm. The recipe for the sourdough bread is my own invention :-). Blend all ingredients together and store them covered in a bowl or a little bucket for 24 hours at a room temperature place. Tipp: I use an empty yogurt bucket. It has the perfect size to make the sour dough and later I just add everything to make the bread. Day 2 - the dough starts to smell sour. 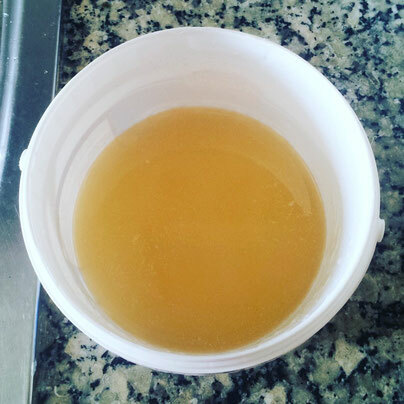 The smell should be stronger now and small bubbles are visible due to the fermentation process. Add this time the following amount and wait again for 24 hours. Your sour dough is ready! Congratulations! You made your sourdough and can use it to make your own sourdough bread. See a tasty recipe below. Take 200 g from the created sour dough and blend it with 350 g wholemeal flour and 200 ml warm water, cover it and wait again for 24 hours. You have again sour dough ready to use. I just use the Mother dough once again and store it for three days in the fridge before I use it for the next bread. 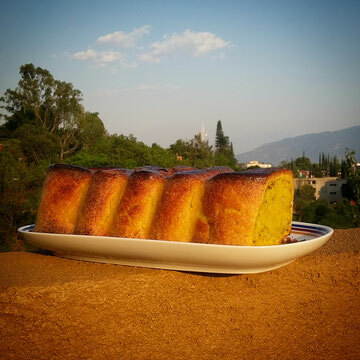 I personally like the following recipe which I make quite often. I found out that adding oil is very important for the consistency and salt for the taste. The other ingredients are nice to have but make it very special. Blend all ingredients together, pour it in a baking form and cover it for an hour and put it in the oven on 200ºC for about 80 min. Check after 30 min if you have to adjust the temperature. Depending on the oven it might be your bread is ready after 60 min or after 80 min. Your bread is ready if its back is brown and crispy.